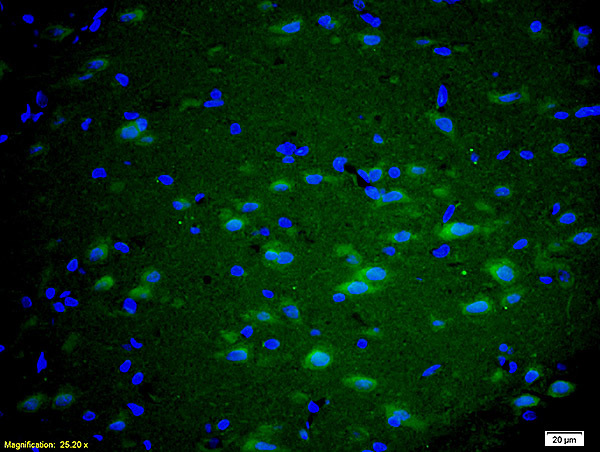 Formalin-fixed and paraffin embedded rat brain labeled with Anti GRM5/mGluR5 Polyclonal Antibody, Unconjugated (bs-1247R) at 1:200 followed by conjugation to the secondary antibody Goat Anti-Rabbit IgG, FITC conjugated (bs-0295G-FITC) used at 1:200 dilution for 40 minutes at 37°C and DAPI staining. 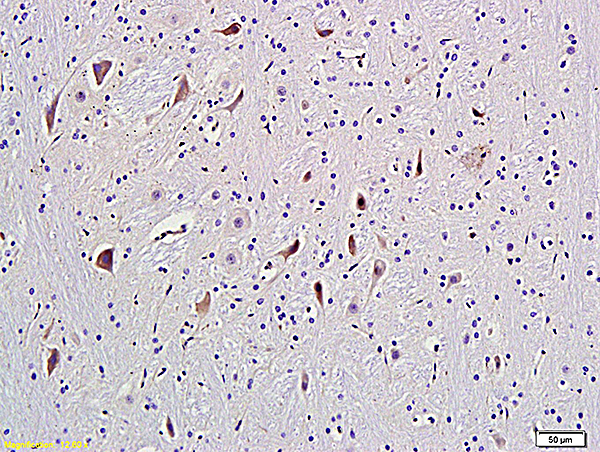 Background G-protein coupled receptor for glutamate. Ligand binding causes a conformation change that triggers signaling via guanine nucleotide-binding proteins (G proteins) and modulates the activity of down-stream effectors. Signaling activates a phosphatidylinositol-calcium second messenger system and generates a calcium-activated chloride current. Plays an important role in the regulation of synaptic plasticity and the modulation of the neural network activity (By similarity).